Franciscan Focus: Are Godzilla slippers with sound too much to ask for? I think not. It's Thankful Thursday (a little late)! 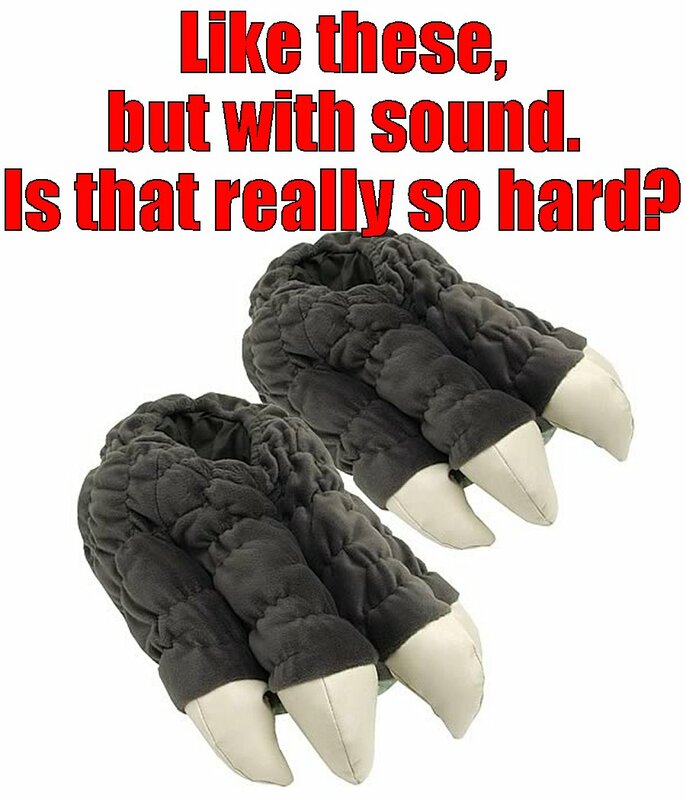 Are Godzilla slippers with sound too much to ask for? I think not. While we're all whining to The Official Makers Of Things to give us an electronic, sound-activated dancin' baby Groot toy, can we also get them to make us Godzilla slippers (like these) that have sound? Please?! I've wanted these FOR YEARS! !